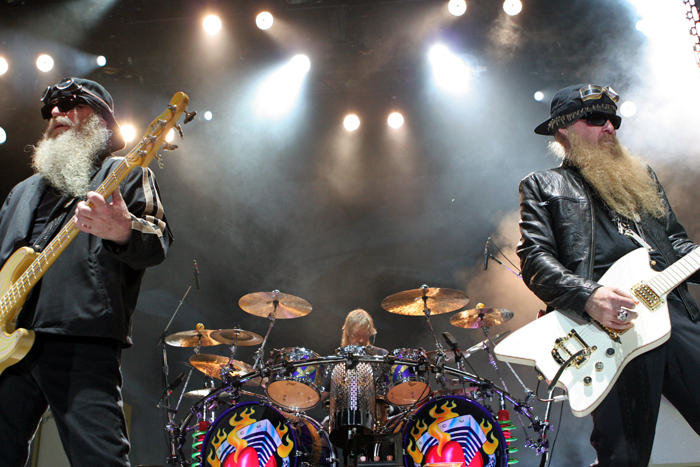 The ancient blues/rock trio ZZ Top will be at The Medicine Hat arena on June 13th, 2010 for everyone who wants to see some old men dance very badly. This entry was posted on Monday, April 12th, 2010 at 10:10 AM and is filed under Medicine Hat Arena, Music Events. You can follow any responses to this entry through the RSS 2.0 feed. You can leave a response, or trackback from your own site. Sean, first My96FM hated us for your post on Akon, now we are going to get hated by Rock 105.3 for your comments on ZZ Top. 2 stations down, 2 to go, eh Sean? You’re just jealous that they are still performing at their age, just think when Bad Religion gets to be their age (they are pretty close), would you still watch them? Remember that time you alienated the whole class in Interactive Media? So there! Of course I would still watch Bad Religion, and already Taylor says they are old and should stop playing. I doubt they will push into their 60’s though. Also, I think ZZ Top will be playing well into their 130s since their shows are pretty much the most low energy performances ever (hard to break a hip all you do is sway from side to side), besides like Il Divo or something. Good music, bad stage presence. Well that made my day, haha. I find the VIP packages pretty strange. Do most bands do these types of things now? I’ve heard about it quite a few times since living in Medicine Hat, but never before. I would find it amazing if Minus Shamos toured and people actually wanted to talk to us before or afterward. I would hate the idea of charging them for that after they bought a ticket to get in. Lots of bands also throw drum sticks/guitar picks/towels after their show, so why pay hundreds of dollars to get them given to you. May the supreme Gods of Rock look down upon your uncomplicated countenances with compassion and indulgence. For you speak of that which is above your station. You shall be forgiven because you are young. I don’t have anything against ZZ Top. They’re good and all, they’re just wickedly old to the point that they just kind of sway and shimmy and shake on stage instead of moving around more than they have to. Perhaps my favourite band, Bad Religion, will some day get there too. You are apunk dont like big motorcycles and the tops class. good comment and maybe when you are thinking listen to old frank z.